She has lost a quarter of her brood. I hope there is no kitty in the neighbourhood. 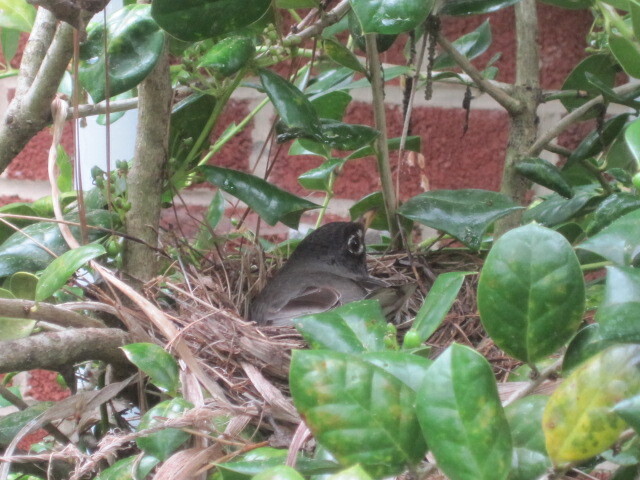 Let us pray that Herr Robin is also watching, otherwise the Frau Robin will have to leave the nest to find grub. Are they in the fenced in part of the back yard up against the house? Yes, the nest is in the fenced in part of the backyard.